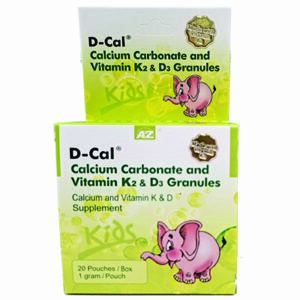 D-CAL 300 KIDS - A & Z Pharmaceutical, Inc.
We created D-Cal® Kids because most children do not receive the recommended calcium intake from their regular diets. 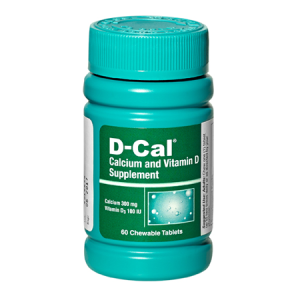 D-Cal® for Kids is the calcium supplement specially formulated to meet children’s specific needs, including developing maximum bone density and healthier teeth, gums and jawbones. 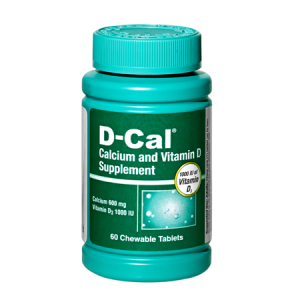 Our formula contains 300 mg of calcium and 100 IU of vitamin D3. This is a chewable product that is available in peach, pineapple and orange elephant-shaped tablets, with NO SUGAR added! 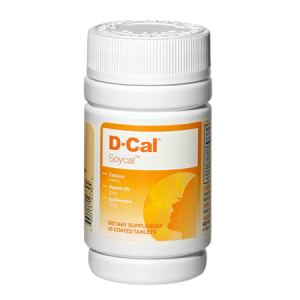 Like our other D-Cal® products, our kid’s formula includes sorbitol, which helps ease digestive issues common with other supplements. 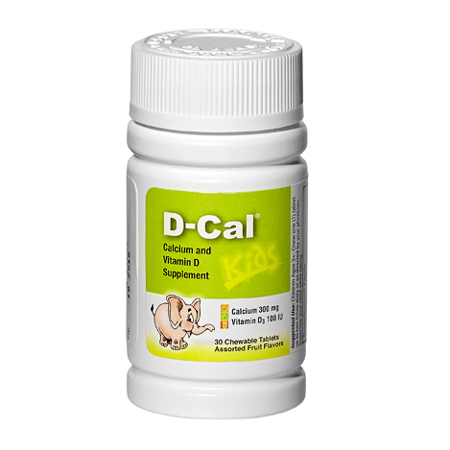 D-Cal® Kids keeps your child’s bones healthy and strong—right from the start! SKU: 00501AZP. Categories: D-Cal, D-Cal Kids. 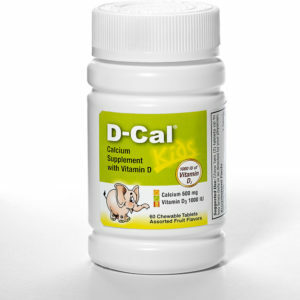 D-Cal® 300 for Kids: A chewable calcium supplement to keep kid’s bones healthy and strong—right from the start! Suggested Use: Chew one (1) tablet up to two times daily or as directed by your physician.